We accept reservations with a credit card hold for parties of 8 or more for Saturday and Sunday brunch. All other tables are first come/first serve. NO TABLES WILL BE SAT UNTIL ALL GUESTS HAVE ARRIVED. Reserved tables will be held for no more than 15 minutes. 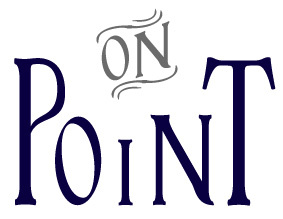 Please call or email (info@onpointbistro.com) to make a reservation. We have a 3 credit card split limit per table. We accept all major credit cards. 20% gratuity will be added for parties of 8 or more. We are a BYOB and encourage you to bring your favorite wine or beer (or spirit for your favorite mixers!) to enjoy with us. Note: We do not permit outside beverages such as orange juice, soda, coffee, or mixers as we sell these items daily. We have high chairs, changing tables, and kid cups and menus available! We are available for restaurant buyouts and catering.